Heat oven to 350°F. 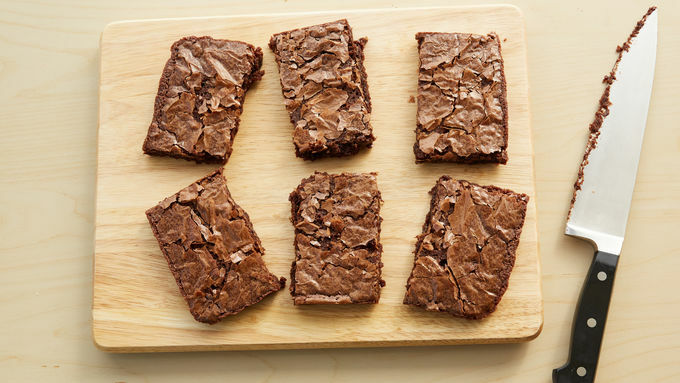 Make and bake brownies as directed on box for 8- or 9-inch square pan. Cool completely, about 1 1/2 hours. Cut into 6 rectangles. Divide frosting among small bowls, and color to desired shades with liquid food colors. 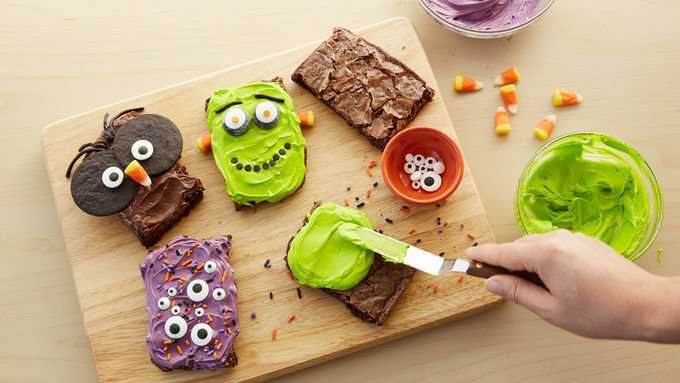 Use frosting, black gel or icing and candies to decorate as desired, using photo as a guide. 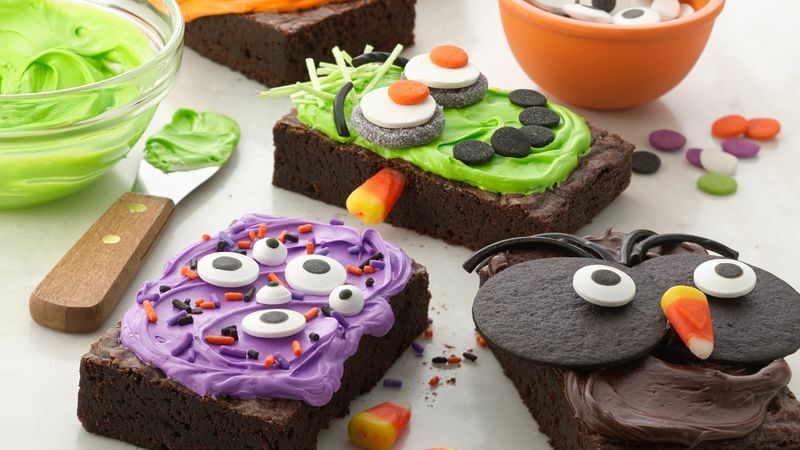 For a group decorating party, double or even triple the recipe to ensure there are plenty of brownies to go around!